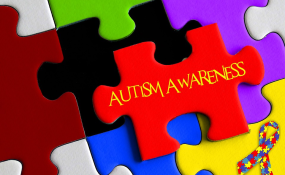 The Initiative for National Growth Africa (INGA) in partnership with Autism Awareness Place has called for a stop to stigmatisation of people suffering from mental disorder through inclusiveness and equal opportunities. This was the submission at the Autism Awareness & Inclusion Conference with the theme 'Inclusion is the New Therapy,' which took place at La Roche Leadership Foundation, Gbagada Lagos State, and graced by special educationists, health professionals among various stakeholders. Founder of INGA, Racheal Inegbedion, said it was to correct the notion that people suffering from mental disorder cannot be successful. According to her, they only need to be shown more love and encouragement so as to perform well. She therefore urged parents and the general public to show love to the sufferers rather than relegating them to the background. Speakers at the event included president of the Down Syndrome Foundation Nigeria, Rose Mordi; occupational therapist, Damilola Oyalaja; founder of the Let cerebral palsy kids learn project, Tobiloba Ajayi; founder of Autism Gist, Adelola Edema; principal of the Federal Nigerian Society for the Blind, Nicholas Obot; and Dr. Sule Omolola from the Lagos State AIDS Control Agency. At the conference, parents, caregivers, teachers and guardians were exposed to life skills and knowledge relevant to maximize the early medical, social and educational intervention of children living with autism spectrum disorders. The conference was supported by the Sifax Group, Lagos State AIDS Control Agency, Codix, La Roche Leadership Foundation, Shakbite Foods, Calal Global, Anthos House and ARPG Tech. Autism condition is caused by series of challenges with the brain and it occurs at the early stage of life. The symptoms to look out for in children include hand flapping, repeated head bangs, withdrawn from others which could last hours depending on the severity of the autism, lack of response to voice or sound, lack of response to names, lacks eye contact, missing speech milestones or not making basic sentences, problem with food, textures or clothing sensory issues as well as other behavioural and mental disabilities.